All of us are, in some way, marked by words: as our inspiration, as a source of our beliefs, even as a part of what makes us who we are. The Ramnamis, of Chattisgargh in India, have taken the name of Ram as central to their communal life and belief system. They have taken the Hindu God’s name, and marked it forever upon their untouchable skin. This is a profound reversal for a group that have long been considered unclean, shunned by wider society and excluded from traditional venues of Hindu worship: both temples and some smaller shrines. To place god indelibly upon their skin is to make their own bodies a place of worship, from which no-one can ever exclude them. This act of reversal, of the opening up of worship, also reflects an egalitarian ethic within the community. Hierarchy, dogmatic interpretation of belief, and complex ritual is avoided. The community faces another challenge to its existence, in the form of modernity. The younger generation now see their future as more promising if they move away from traditional beliefs. Those beliefs combat a stigma, being untouchable, which is now less significant than yet another powerful stigma: being seen as behind the times. So the generations are now negotiating how they practice their beliefs. The community now agrees that full body tattoos are no longer necessary for the younger generation. A group that fixed the name of god upon their skin to show their devotion to truth, equality, and their rejection of exclusion, are yet again engaged in a struggle to redefine themselves. 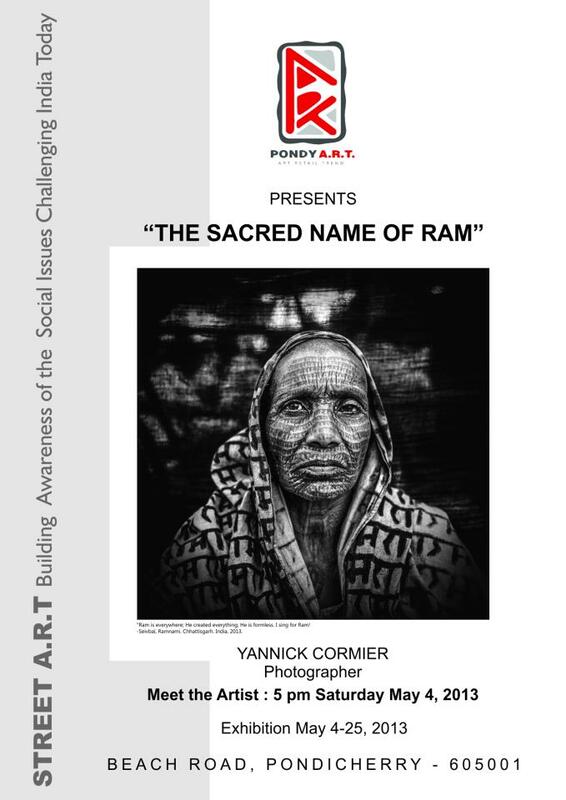 Yannick was born in 1975 in France. In the early 2000s he worked with the studio Astre parallel to his studies in CIFAP. After years of working with professionals like Patrick Swire, William Kline and many others for magazines such as Vogue, Elle, Flair and Vanity Fair, he changed his direction and became a documentary photographer. From 2003-2005, he teamed up with the agency, Wostokpress, and was sent to India as a correspondent. He fell in love with all that is India and settled permanently in Chennai, India. In 2007 he founded the agency, Trikaya Photos, to showcase emerging photographers working on sensitive issues. Since 2009 he has been working on the conflict in the region of Kashmir, the problem of drug addiction in Kolkata. and the marginalized transsexual community across India. His photography is an aesthetic testament of traditions that are endangered in modern India. These images have been published in various international magazines (OjodePez, Courier International, Liberation, The Sunday Guardian, The Hindu, etc.) and exhibited in India and abroad.